Nowadays, people are looking for different ways to earn money online and blogging has emerged as one of the top option for earning handsome income online. 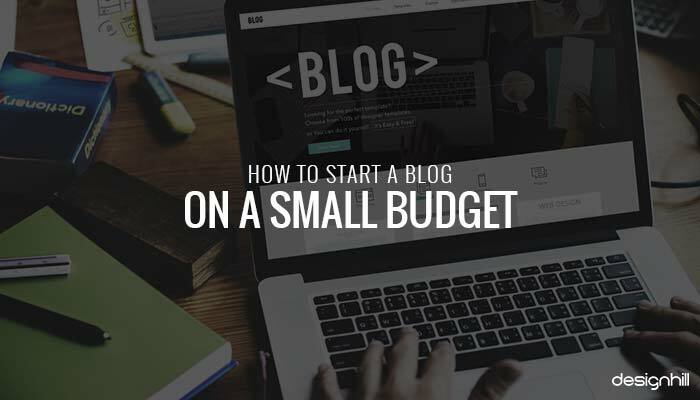 So, if you are also planning to start your blogging journey but finding budget is a constraint then don’t despair, this blog shares how you can start a blog without spending a hefty amount. Perhaps, the biggest obstacle to building your blog is budget. 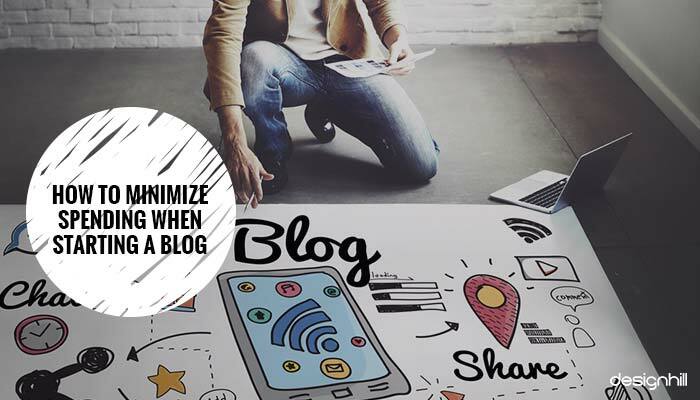 Setting up a blog may be free in some ways, but if you want to excel in the blogosphere and gain a great no. of followers over time, then having a proper website for your blog is a must. But how to start a blog that too on a tight budget? If you’re looking for a comprehensive but quick guide in starting a blog, then you’ve come to the right place. Designhill can help you decide if starting and running a blog is something that you want to do to market your website or if you want to do it as a part-time job. 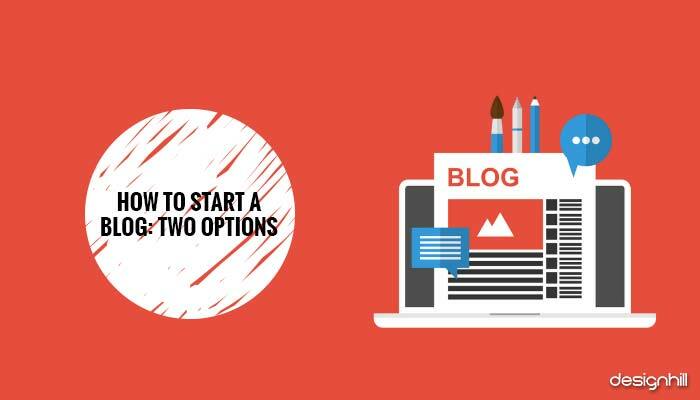 There are two options that you can choose when starting a blog —but if you’re a small business owner, you can go ahead to the next chapter, “How to Minimize Spending When Starting a Blog”. 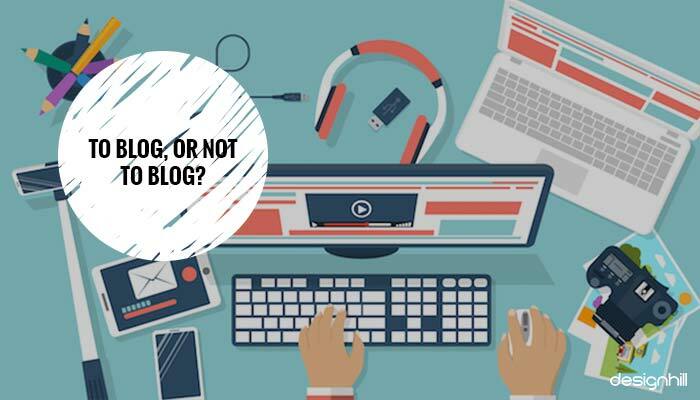 If you’re planning to open a blog for personal use only, you can always opt for Blogger or WordPress.com. It’s fairly easy to sign up for an account on these websites. They have the basic functions that a blog should have. It’s free to use, so there’s no need to worry about maintenance fees for your blog. On the other hand, it’s a WYSIWYG platform, which lets you design your website without having any prior coding knowledge. Your blog name will be stuck with WordPress’ or Blogger’s domain. You can remove the wordpress.com or blogspot.com from your blog’s address, for a fee. Free blogs are deemed less professional than a self-hosted blog. There are limitations for editing and working with your blog. For example, WordPress.com users cannot use plugins to enhance the features of their website. Same goes for other functions and themes —you cannot use custom themes or control other CSS functions for your blog. You can only accommodate few visitors on your website due to its limited bandwidth. There’s not much memory space to hold your photos and videos too, so you have to resize it to a lighter version. It’s harder to make money from a free blog due to its limited advertising options. In setting up a blog, you need a domain name, a hosting to “park” your domain, and a content management system (CMS) to get your website to look like a blog. Having your own website to support your blog is the best option if you want to take blogging as a serious career option, as a way to market your own products or services, or if you simply want to make money out of it. The possibilities with a self-hosted blog are endless. You can purchase a theme to beautify your website, download plugins to easily customize your blog, use high-resolution images due to its increased memory capability, and the best of all, you can virtually get any advertising platform of your choice to make money out of your website. However, if you don’t have any prior coding experience, building a blog may be difficult at first. Moreover, domain and hosting are both subscription plans, and those may be paid depending on the checkout option you selected upon purchasing your chosen domain name and web hosting provider. Thankfully, you can install WordPress on your website in a jiffy — in just five minutes, you can now start blogging! Now that you’re done setting up your blog, it’s tempting to get your website in tip-top shape. Maybe you’ve read somewhere that HTTPS is good for websites, that your articles should be AMP-ed, or you should use a CDN to manage your files for a faster website speed. First, we do not suggest upgrading your website with these on the get-go. Some hosting providers already provide faster loading times, while SSL certificates can be purchased at a later date if you do not plan on collecting sensitive information from your website. • Should I Consider A Web Design Theme For My Blog? Getting a new theme for your blog may be tempting, especially if you’re fed up of looking at black-and-white free themes provided by WordPress or Blogger. If you’re thinking of getting a theme for your website, make sure that you have some experience in installing your theme, or that you’re familiar with the backend of the website. Follow the instructions clearly before you do anything with your files — it’s an important practice to back up your website frequently. How to Find the Best Keywords for Business Blogs? If you have the extra money, then select a theme that you will stick around for at least a few years — changing your website’s design almost every time you can disrupt your brand awareness. 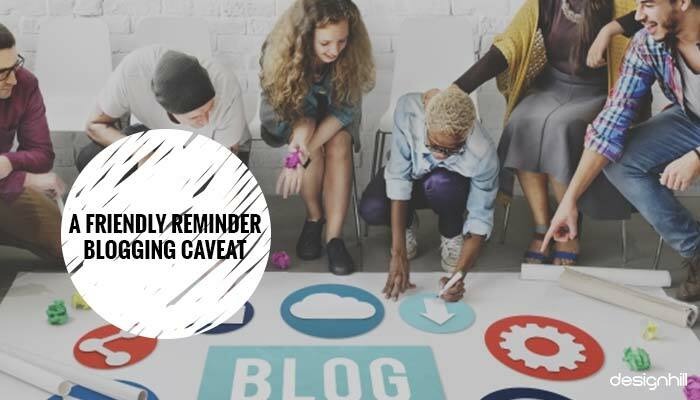 You want your blog to stick on your audience’s mind. How This Minimizes Expenses: Hiring a web designer can be expensive at the moment, but you can hire someone instead to create your site’s logo or design some elements of your website so you can save time in building your website. • Should I consider a website builder for my blog? Wix, Squarespace, Virb, and Weebly are the popular options nowadays for website builders. Our suggestion: choose carefully. If you want more freedom, you can choose Weebly as it allows HTML/CSS Editing at a lower price than Squarespace does, but you might want to find out more as for why Wix was primarily chosen for this bout. How This Minimizes Expenses: If you don’t mind paying for monthly fees to build your own website — and without the need of hiring a web designer — you can opt to get a website builder to develop your blog. You can always make the changes yourself, no need to tap someone and pay hourly fees to design or develop a page for your blog. Using coupons can definitely help you save some money upfront; most of the time you can use those coupons upon purchasing your first domain name or to save more on hosting plans. On the other hand, as Black Friday approaches, you can wait and save up money for the best deals on that day — you can save up to 90% off deals! Don’t expect to earn thousands in the first month, nor on the 6th month of your blog. Depending on the niche and your efforts to create compelling content for your blog, you may earn enough for a cuppa at your local coffee shop, to a Starbucks venti. Don’t expect to be reeling in leads from your blog in just a blink of the eye. Blogging is a continuous effort. It’s an ongoing experiment on what works for your chosen niche. With all the tutorials that you can find anywhere on the Internet, it’s fairly easy to build a good-looking blog. Yes, it’s easy to build the “first impression”, but retaining viewership is even harder than you can imagine. 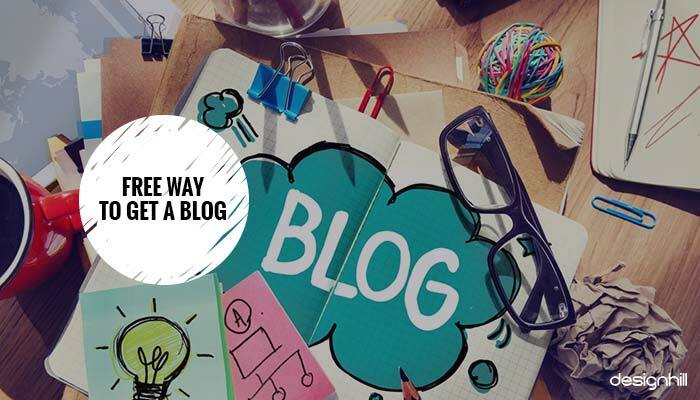 To build an awesome blog, you should continuously build your blog — create different kinds of content to cater different kinds of audiences for your blog. To reach the peak level of awesomeness, you should be able to produce blog posts that help people understand their problem, and present solutions if necessary. Don’t do this just for the six-digit paycheck and an ideal retreat somewhere in the tropics — do this with a purpose. Because it’s a new blog and you’re short on budget, chances are, you’ll be writing your own content. You may publish blogs on a bi-weekly basis, or maybe you won’t have time at all — avoid from doing the latter. As much as possible, publish content on your blog whenever you can, until the time that you can establish a content calendar. Once you can afford to hire a writer, be ready to churn in content for publication. Schedule your posts so you can have a consistent flow of content going on your website even when you’re away. Frequent postings do not only benefit your site’s viewership, but it also helps with search engine optimization. Building a website may be tiresome, and maintaining it is more grueling than it is. If you think you can no longer profit from your website design, and the cost of maintaining it is taking a toll on you, you can always call it ‘quits’. If your blog has gained quite a number of following and has met certain requirements, you can “flip” it and sell it for a fee. Some would pay hundreds up to thousands of dollars for a great blog; this can be your only option if you really want to quit blogging. 06. To Blog, or Not To Blog? Starting a blog is possible; you just have to look for ways on how to bring your ideas to fruition. 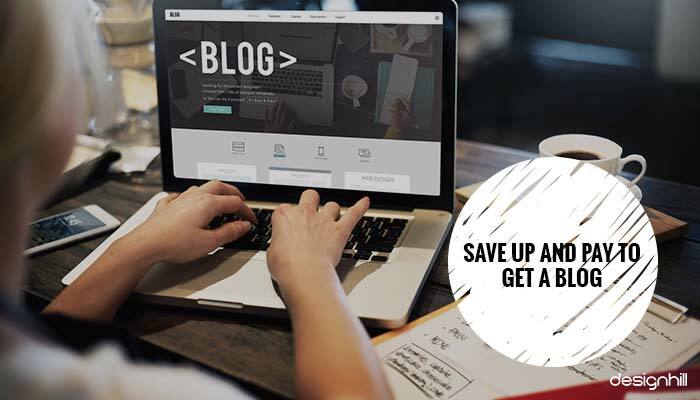 Choosing a free-hosted blog such as Blogger and WordPress.com can help you get started; on the other hand, choosing a self-hosted blog can give you leverage to start making money with your blog. Weigh out your options and check if there’s anything else you can do to decrease expenses so you can start your blog on a small budget. Nick Taylor is a product and web designer who specializes in visual design, UX, illustration and brand identity. With over 9 years in the industry, he is frequently researching the latest trends in digital design and new-age Internet ideas. Previous Previous post: Is Flat UI Design / Color More Professional?